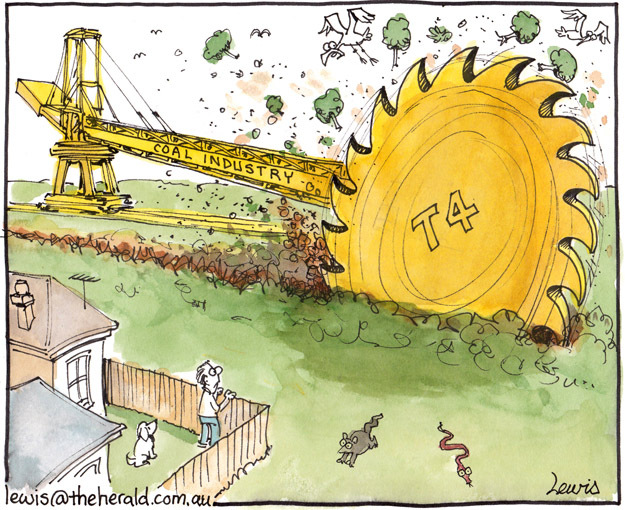 The controversial T4 coal-loader appeared to have a big environmental cost when this cartoon appeared in the paper. The collapse of the coal price later in 2012 led to the plan being downsized. This entry was posted in Editorial Cartoons and tagged climate, coal, coal loader, coal port, environment, loaders, mining, rising tide, T4 on November 23, 2012 by Art by Peter Lewis.